Artist Pipilotti Rist will break out of Times Square’s usual electronic billboard programming with her Open My Glade (Flatten), 2000-2017, which will be on display every night in January from 11:57-midnight. The programming is part of Midnight Moment, the longest-running digital art exhibition synchronized on electronic billboards throughout the famous intersection. Artist Pipilotti Rist will break out of Times Square’s usual electronic billboard programming with her Open My Glade (Flatten), 2000-2017, which will be on display every night in January from 11:57-midnight. The programming is part of Midnight Moment, the longest-running digital art exhibition synchronized on electronic billboards throughout the famous intersection, curated by Times Square Advertising Coalition and Times Square Arts every month. In this month’s Midnight Moment, video artist Pipilotti Rist re-confronts the screens of Times Square in a new, multichannel edition of a work commissioned by the Public Art Fund in 2000, which originally appeared on a single screen in Times Square. 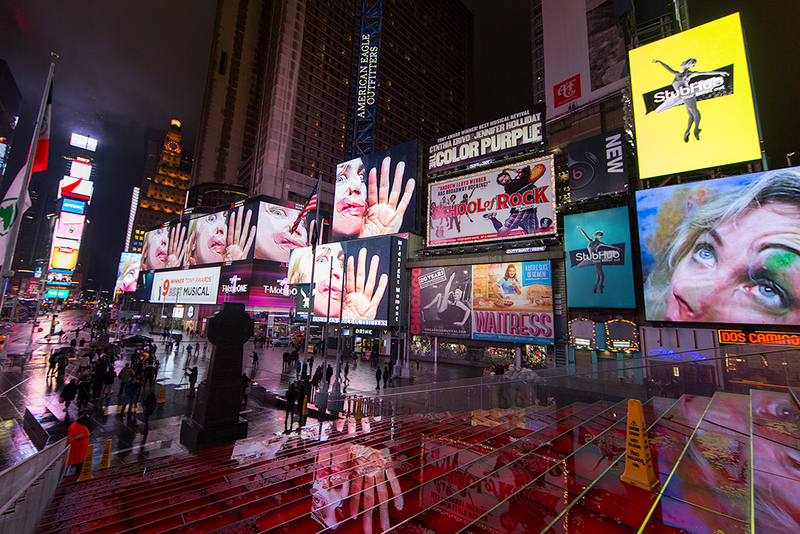 In the 2017 edition, Rist surrounds the plazas of Times Square on multiple screens in vivid color, flattening her face against the glass as if to break through the screens completely. 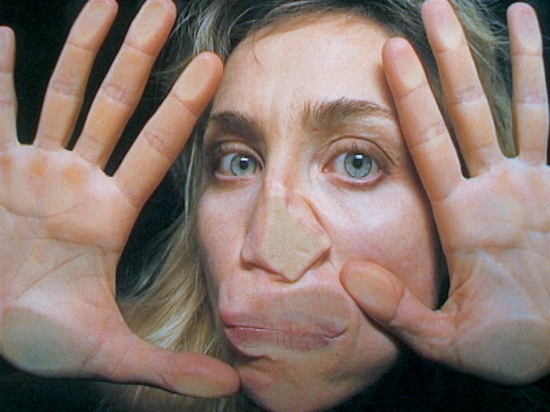 With her features humorously distorted and her makeup smeared, Rist addresses expectations of women in media while also questioning the invisible boundaries placed on women and their history, experiences, pains, and wishes, in ways that resonate just as strongly in 2017 as they did in 2000. “At a time when the larger political currents are making many women feel both the glass ceiling and the walls closing in on their bodies, this work resonates more than ever,” said Tim Tompkins, President of the Times Square Alliance. This month’s Midnight Moment is presented in partnership with Rist’s Pixel Forest, on view at the New Museum through January 15.